The trek into Slough Creek’s upper meadows is a haul by most standards. 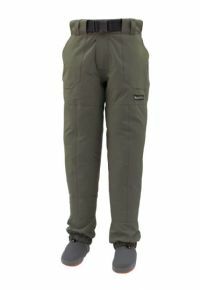 And when you’re lugging several days’ worth of gear, provisions, and a rod in hand, you can’t beat the stop-and-go capabilities of this stalwart pant. Freestones® keep you warm and dry when it counts, with the performance to check off all the niches on your fishing hit list.